The original Disorderlies film garnered rave reviews when it was released nearly 25 years ago. 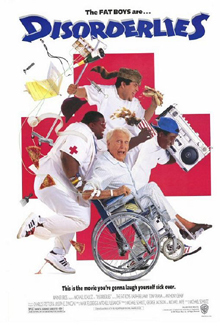 Advancing Hollywood’s undying mission to remake and ruin every classic movie made during the 1980s, three New York Yankees pitchers will reportedly star in a remake of the 1987 film The Disorderlies, starring the lovable, overweight rap-singing trio The Fat Boys. According to one executive producer, who requested anonymity, CC Sabathia, Bartolo Colon and Joba Chamberlain are expected to be awarded the leading roles. However, some say casting directors believe they have some decisions to make regarding Phil Hughes and Freddy Garcia. The script is expected to closely honor the movie’s original premise in which an over-privileged, nepotistic heir to a billionaire’s fortune aims to speed up the process of an old man’s advancing death by hiring three overweight, incompetent orderlies with a penchant for rapping. Like the original Fat Boys trio of Markie*, Buffy and Kool, the Yankees’ Sabathia, Colon and Chamberlain will engage haplessly in considerable fish-out-of-water hijinks and presumably a considerable amount of sweaty, Dominoes pizza-fueled hilarity. *NOTE: Markie passed away in 1995, when Sabathia was just a svelte 230-pound sophomore in high school. Yankees team owner Hank Steinbrenner has not officially approved the deal that would make the three Yankees immediate stars of the silver screen. However, producers are not worried. Both Sabathia and Colon are reportedly working hard to perfect their “beat-boxing” technique: creating percussion sounds and rhythmic beats using only their mouths. The catchy mouth-turned-drum machine chorus to the Fat Boys’ rendition of the Beatles hit “Ba-Ba-Ba-Ba-Baby You’re a Rich Man” could be clearly heard from outside a closed door near the Yankees’ clubhouse earlier this week. Because most of the picture takes place in southern Florida, the movie could begin filming as soon as next month, with a summer release date and uncut DVD/Blu-ray editions in retail stores for the 2011 holiday season. Written exclusively for Fenway Pastoral by Red Sox first baseman/third baseman Kevin Youkilis. FORT MYERS, Fla.–Spring training isn’t all base-running drills and ground balls. Players have to eat, too. There are 50 Applebee’s locations within a 20-mile radius of our Fort Myers facility, so it was only a matter of time before us corner infielders (myself, Adrian Gonzalez, Lars Anderson, Jed Lowrie) made it out for some good eating. I know a lot of reporters like to make a huge deal about team camaraderie and all that stuff, so yes, we did all cram into one taxicab even though it meant leaving Hector Luna behind and riding with my cheekbone pressed up against the back window for 10 minutes. Still, everything was going pretty smoothly until the hostess showed us to our table. As I was hanging my sports jacket on the hook next to the booth like a civilized human being, Adrian brushed me aside and stole my usual seat facing out toward the bar. I know they must have Applebee’s in San Diego too, so I wasn’t cool with Adrian just taking my usual spot like it was nothing out of the ordinary. I mean, dude, seriously? I bit my tongue and tried to move on because I didn’t want to spoil the vibe and make people decide to skip appetizers. Already pretty steamed, I was downright pissed when Jed ordered himself an entrée at the same time I was trying to order onion rings and spicy chili nachos for the table. When I called him out on the faux pas, he was unapologetic. He says, What’s the difference if I want to eat a main dish before picking at the appetizers? Either way, the food winds up in my stomach. Well, this whole mindset really infuriates me. There is a reason why appetizers are listed first on a menu, followed by entrees and desserts. If the waitress brings out a brownie sundae before the main course, everything gets thrown off kilter and the whole meal is ruined. Jed is a young guy and just trying to be edgy and different for the sake of being different. So, again, I bit my lip and let it slide. But things just got worse from there. As we were waiting for the main course to arrive, Lars decided he wanted to send a couple mudslides over to two well-endowed ladies sitting at the corner of the bar. Now, one of these two chicks had been eyeing me most of the night and I planned on going over to them after we had polished off dessert to see if they wanted to share a plate of sliders and talk some baseball. I was going to play the Ed Harris to her Melanie Griffith. But I’ll be damned, Lars showed the patience and resolve of a 16-year-old on prom night and couldn’t wait until after the meal to send over a couple of super-alcoholic drinks. (Yeah, I know, real subtle.) He was in over his head right from the start. What happened next was all too predictable. The drinks arrived while I was just absolutely crushing a Triple Chocolate Meltdown and Lars smiles over and gives them the stupid Your Welcome thumbs up. I’m just helpless, wrist deep in ice cream and chocolate sauce smeared on my face. Well, I had had enough by this point. Between Adrian taking my seat in the booth, Jed trying to “teach” me about meal courses being “interchangeable” and Lars showing his age by being overeager, I was ready to head home. Alone. I think it was probably for the best. I ran up a hell of a bill smashing various furnishings in my hotel room and punching the fitness room’s drink machine out of working order, but sometimes it’s good to vent. I’ll autograph the bat I broke over my knee this morning in the batting cage and give it to the hotel manager. As for Applebee’s, I’m sure I’ll be back there again. Spring training is less than a week old and being in Florida for six weeks without eating at Applebee’s a few times is kind of like going to Chicago and shunning Pizzeria Uno. Once out of his car, Orsillo enlists one of the team’s on-field assistants to pick him up in a golf cart to carry him the remaining 50 yards between the parking lot and the entrance to the press box elevator—lest he risk burning precious calories by walking. After disembarking from the beleaguered vehicle, several team employees coax Orsillo into flashing the newly acquired gut he worked so hard at achieving during the cold winter months. Sheepishly, Orsillo obliges, lifting his golf polo up to his chest, revealing his massive abdomen. Giggling, poking, slapping, tickling and general rough-housing ensue. Orsillo and his NESN teammates clearly enjoy a special camaraderie that defies tangibility or even any description coming close to having a semblance of coherent analysis. 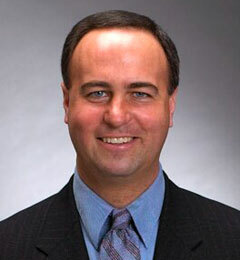 Even at first glance, it is obvious to casual observers that Orsillo did not just stand pat this offseason. Red Sox coaches have already taken notice. Orsillo, breathing heavily through his mouth, explains why he made changes to his conditioning routine this offseason. Sponsors have already taken notice. While Orsillo and partner Jerry Remy typically enjoy free Dunkin’ Donuts coffee and donuts during Red Sox home games, other local businesses hope to enter the fray in 2011. Meanwhile, Orsillo will eat an entire crock pot of Legal Seafoods clam chowder twice per week during the 7th inning stretch. Privately, NESN executives couldn’t be more excited or more optimistic about the upcoming 2011 campaign.